Get into the numbers to see exactly how your payment changes when you use any of these strategies. Try punching numbers into a loan amortization calculator. 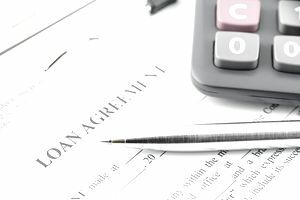 Depending on the type of loan you have, it might be easier to qualify for a loan modification. Government programs like FHA loans, VA loans, and USDA loans offer relief, and some federal and state agencies can also help. Speak with your loan servicer or a HUD-approved counselor for details. For other loans, try the Fannie Mae Mortgage Help Network. The federal government offered the Home Affordable Modification Program (HAMP) beginning in 2009, but that expired on Dec. 31, 2016. The Home Affordable Refinance Program (HARP) expired two years later at the end of 2018. But HARP has been replaced by Freddie Mac's Enhanced Relief Refinance Program and by Fannie Mae's High Loan-to-Value Refinance Option, so these might be a good place to start for assistance.